Easily one of the most complex medical conditions and mental health disorders plaguing our children today, some studies suggest that well over 6 million children in the United States alone are currently struggling with ADHD and ADHD symptoms – with some experts estimating that the number could be as high as 20 million children or more. Obviously, we are dealing with a serious mental health epidemic here, and though we still do not completely understand exactly why ADHD symptoms in children exist in the first place – or exactly how to best effectively treat and cure this condition – we understand more about it today than ever before. Researchers are literally working around the clock all over the globe to come up with effective answers that gives children the best opportunity to lead happy, healthy, and well-adjusted lives. With so many children (and a considerable amount of adults) living with this condition each day, it has one of the highest priorities in the medical research community. Of course, it’s important that you properly diagnose any and all ADHD symptoms that your child may be dealing with so that there is no confusion to the validity of whether or not they are dealing with this condition in the first place. This is why it is so important to understand which symptoms to be on the lookout for and which “symptoms” present themselves as false positives – giving you the opportunity to help your child as much as humanly possible going forward. Why is it so important to diagnose kids with ADHD? There are a number of different reasons as to why it is so important to properly diagnose ADHD symptoms in kids, but the most important reason for a proper diagnosis is to make sure that a child isn’t put on a serious schedule of potentially dangerous prescription drugs and invasive psychiatric solutions when they don’t need them. You see, the problem with many of these ADHD and ADD symptoms is that they are closely related to normal behavior and activities that children – perfectly healthy and well-adjusted children – present each and every single day. This is what makes an early diagnosis of ADD and ADHD so challenging, as it is rather difficult to determine whether or not a child is dealing with serious symptoms that could be compromising their ability to adjust and learn properly at a young age or just going through the normal “motions” of being a young child growing up and adapting to the world around them. A proper diagnosis of ADHD symptoms is going to involve a variety of different tests (a handful of which we will get into in detail in just a moment), and almost always includes a rigorous process of consecutive tests to double verify that there is in fact something going on “below the surface”. This diagnosis is essential, especially considering just how powerful, potent, and potentially dangerous most of the solutions for ADHD are. What are the common signs of ADD in children today? One of the first signs that your child may be dealing with ADD or ADHD is an inability to focus on other people, their emotional needs, or their desires. This usually presents itself in the form of children interrupting people while they are conversing with others, children that have a difficult time waiting their turn when in line with other children, or children that struggle to share and play with other kids in their group. Obviously, these kinds of behaviors on their own aren’t enough to properly diagnose a child with ADD or ADHD – but when noticed in conjunction with a handful of the other symptoms we outlined below it can stand out as an “alarm bell”. Another of the more obvious signs that you should be on the lookout for is any and all of emotional turmoil or difficulty controlling emotions on a regular and routine basis. If your child or children regularly move through a variety of different moods rapidly (and with no real reason for “trigger”), you may be dealing with and ADD/ADHD condition. Careless mistakes – mistakes that could have been almost effortlessly avoided or mistakes that just don’t seem to have any real rhyme or reason behind – are other signs and symptoms that your child may be dealing with this particular mental disorder. Children that have a difficult time following regular instructions or executing a plan/system that has been outlined for them may be contending with ADD or ADHD, and it’s up to you to recognize this issue as quickly as possible. What kind of symptoms of ADHD in children are “dead giveaways” that something is wrong? Because ADD is different than ADHD, you should be on the lookout for “dead giveaway” symptoms that can lead you to make a proper ADHD diagnosis. … And that’s just beginning to scratch the surface. Again, none of these symptoms alone are associated only with ADD or ADHD, but when noticed together with a variety of other symptoms one can reasonably assume that and ADD or ADHD diagnosis is appropriate. Can health professionals manage and cure this mental disorder? ADHD symptoms in children cannot yet be “cured”, though they can be effectively managed through a variety of different approaches. 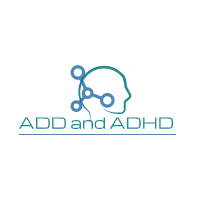 One of the most common approaches is to provide children dealing with ADD and ADHD a handful of different prescription drugs and chemical solutions designed specifically to “quiet the mind” and improve focus. Some parents find these drugs to be incredibly beneficial in helping their child lead a happy, healthy, and well-adjusted lifestyle – but others are even just a little bit nervous about the potential for negative side effects and long term health impacts that may not be worth the improvements made. Other solutions that help parents best manage ADD and ADHD symptoms that their children are dealing with include meditation (usually guided meditation to begin with, with a goal to eventually reach self-guided meditation), regular psychiatrist or psychologist therapy sessions to teach them how to best manage, control, and direct their focus to overcome their ADD/ADHD, and a handful of other more holistic approaches to quieting the mind and boosting focus across the board. Many of these alternative solutions have produced life-changing results, though they are a little bit more “hit or miss” when compared to the chemical concoctions that the modern pharmaceutical world has come up with to address this problem. It really all boils down to what you feel most comfortable with, what you feel works best for your child based off of the recommendation you receive from a trusted and trained medical professional, and a handful of other details that will guide you along the way to finding the right ADD/ADHD solution. How can I best help children living with ADHD? The first thing that you can do to help children that are living with ADHD is to understand that the problem is completely and entirely out of their control. Usually these children are quite hyperactive, have a difficulty listening and focus, and struggle to complete tasks or projects that might otherwise seem rather simple and straightforward. Overreacting or punishing them because of a mental disorder will only cause great pain to both of you. Secondly, you’ll want to make sure that you reach out to a trusted and respected medical professional to get a proper diagnosis of the issue that you have on hand. Only a medical professional will be able to give a proper diagnosis of what you’re dealing with, give you insider insight into whether your child is struggling with ADD/ADHD or just “growing up” and going through the motions that all children do – the kind of distinction that you need to know about as a parent before you even think about taking advantage of any medications for therapy sessions. At the end of the day, there are a number of solutions that parents are going to be able to leverage when they are looking to provide their children with help against this mental disorder. Thankfully, these solutions continue to get better and better as time goes on. Researchers and medical professionals are working on cures every day, and it really shouldn’t be all that long until we are able to cure this disease once and for all.